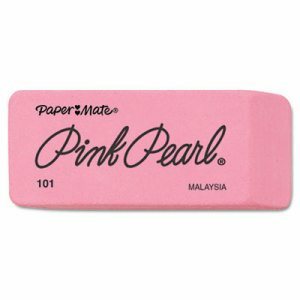 Reach for this premium soft and pliable rubber eraser to make clean corrections. It's self-cleaning and provides smudge-free erasures. Will not tear paper. 100% latex free. Eraser Type: Beveled Block; Material(s): Elastomer Compound.